I have always been a fan of green beans! I think they were my favorite veggie as a kid. My daughter loves them too! What a coincidence and enjoys them a lot! 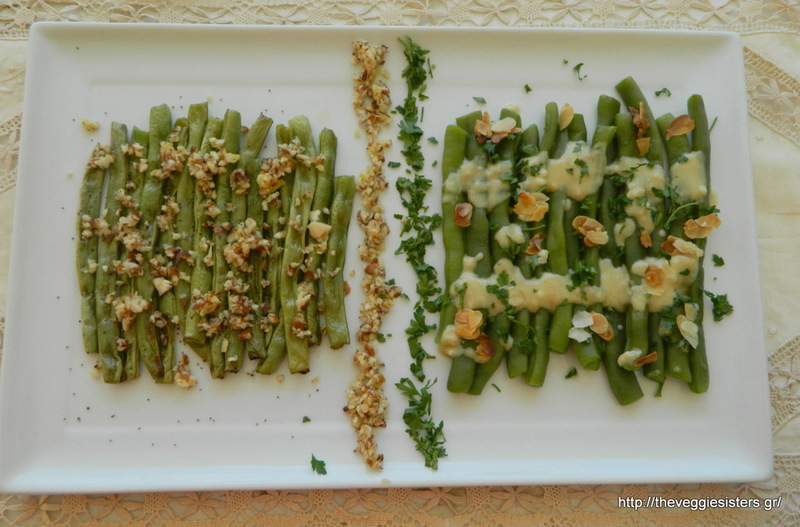 A dear friend of mine, Dimitris, grows his own green beans, so this summer we were lucky enough to enjoy the purest and yummiest green beans ever! Here in Greece we commonly cook them in a tomato sauce but today I am sharing with you two salads: the one with a tahini sauce and the other with almonds. Both are super healthy and tasty. 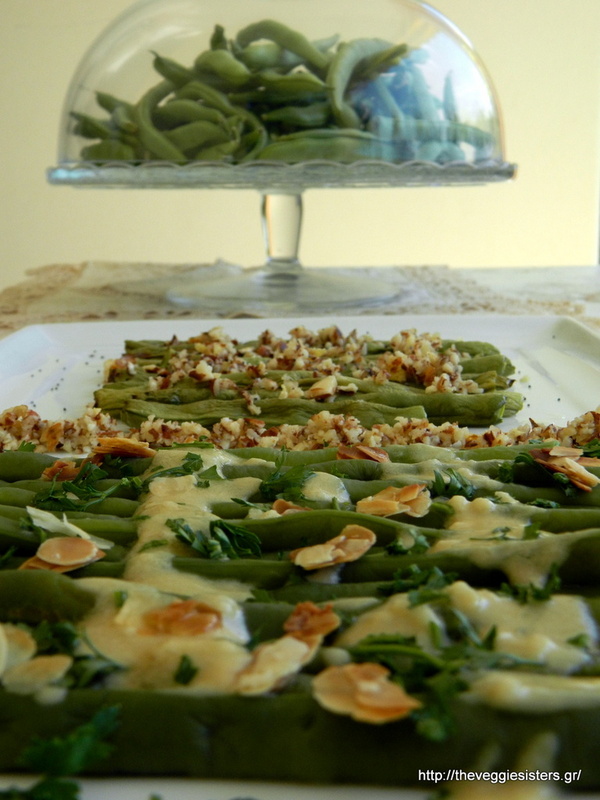 Spray beans with olive oil and lay them on a baking sheet lined with parchment paper. Bake at 200 C for about 15 minutes. In a blender pulse almonds, garlic, lemon juice and zest, olive oil, salt and pepper. Lay beans on a platter and sprinkle with poppy seeds and the almond mixture. They can be served cool as well. Enjoy! Cook beans in boiling water for 5-7 minutes. If you want them softer, cook for a few more minutes. In a bowl combine tahini with lemon juice, garlic, 1 Tbsp olive oil and salt. In a pan pour 1 Tbsp olive oil and roast almonds until golden brown. Lay beans on a platter, top with almonds, parsley and pour the tahini sauce. Enjoy! 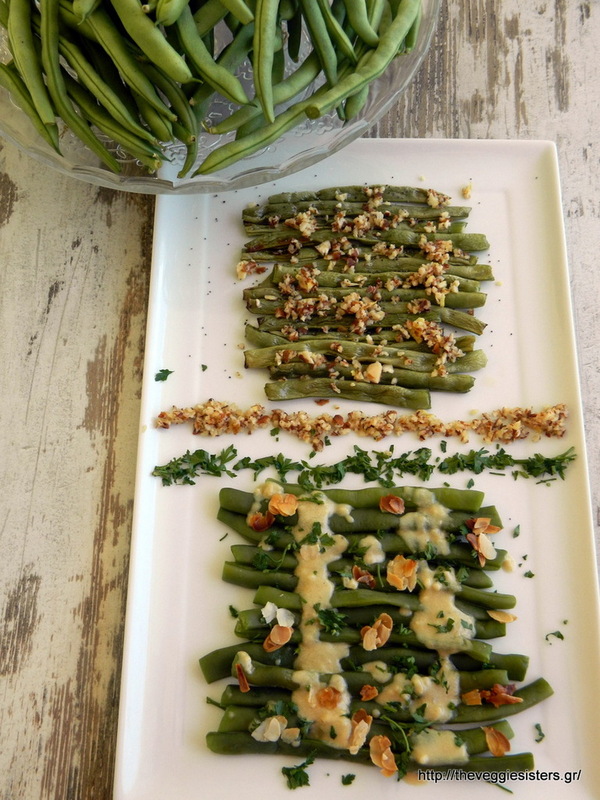 Share the post "Green bean salads"